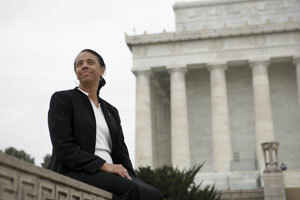 Marcia Bloom Bernicat ’75 began her role as U.S. Ambassador to Bangladesh on Wednesday when she presented her credentials to President Md Abdul Hamid. On Thursday, she met with Foreign Secretary Md Shahidul Haque at the foreign ministry. “We have such a big and broad relation. I have a direct mandate to make it even stronger and I look forward to doing so,” she is quoted as saying in a bdnews24.com article (Feb. 6, 2015). Watch a video introducing Bernicat as the new ambassador. Bernicat, who has more than 30 years experience as an overseas officer for the U.S. Department of State, served as U.S. ambassador to Senegal and Guinea-Bissau from 2008 to 2011. Read more about Ambassador Bernicat.